It’s a commonplace that what we wear says a great deal about who we are. Clothes make the man, and all that. And what we wore may say even more about who we were. The story, or stories, behind the clothes may say the most of all: about class, about taste, about technology, about actual people. Them especially. As Michael Herr writes in “Dispatches,” his classic work of Vietnam reportage, “War stories aren’t really anything more than stories about people anyway.” That’s true not just of war stories. Two very good current exhibitions bear this out. “Fashioning the New England Family” runs at the Massachusetts Historical Society through March 29. 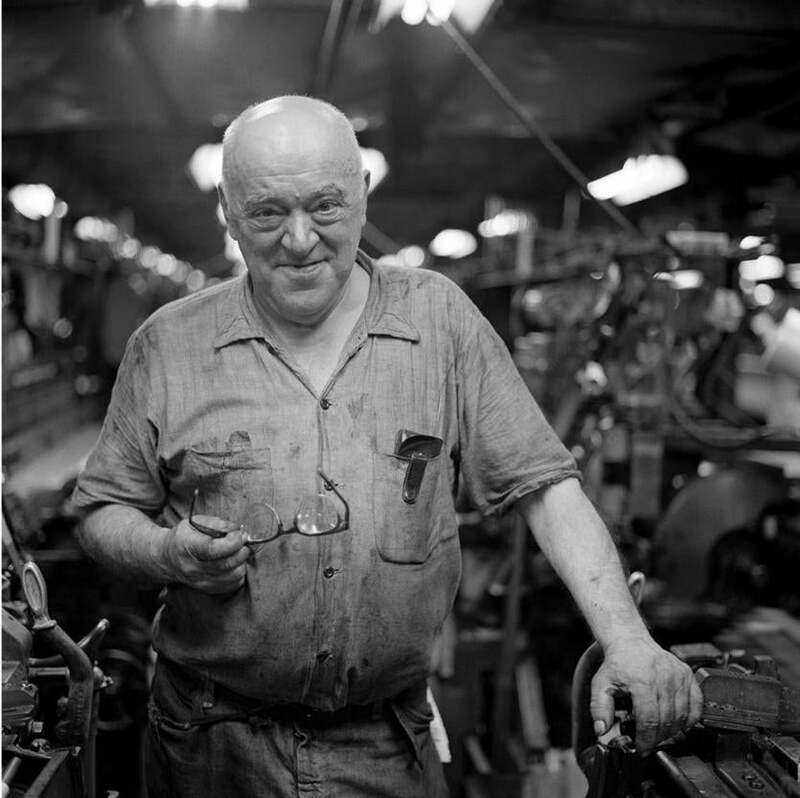 “With These Hands: Mill Workers 1973-1977, Photographs by Steve Dunwell” is at Waltham’s Charles River Museum of Industry and Innovation through Jan. 24. The MHS show is part of the eight-institution Mass Fashion consortium, which has coordinated a variety of exhibitions hereabouts relating to the culture of fashion. Current shows under the Mass Fashion umbrella (they’re so stylish let’s call it a parapluie) include the Peabody Essex Museum’s “Empresses of China’s Forbidden City,” through Feb. 10; the Museum of Fine Arts’s “Boston Made: Arts and Crafts Jewelry and Metalwork,” through March 29; and the Fuller Craft Museum’s “Uneasy Beauty: Discomfort in Contemporary Adornment,” through April 21. Guest curator Kimberly Alexander and staff curator Anne Bentley have plumbed the MHS collection for petticoats, a three-corner hat, a silk baptismal apron, canes, waistcoats, shoe buckles, fans (one of them used by a Union officer in the Civil War), purses, and at least one wig. It belonged to the Boston merchant Henry Bromfield. The wig comes as a package deal. We also get the hollowed-out coconut used to store it and a powder puff. It doesn’t make much sense to have a powdered wig without the means of powdering it. Peter Oliver’s cloak, England, ca. 1770. As such an eclectic array might suggest, “Fashioning the New England Family” is charming, and eye-opening, as well as informative. The earliest item, a buff coat worn by future governor John Leverett, dates to the 1640s. The most recent is a wedding dress from 1895. We get items belonging to the famous (Cotton Mather’s pocket watch, John Hancock’s knee buckles — both gold ones and paste ones) as well as others belonging to no known owner. 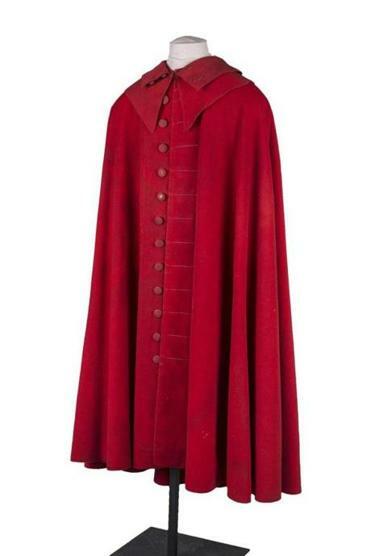 The most eye-catching may be the full-length cloak belonging to Peter Oliver, a Boston merchant and Massachusetts chief justice in 1771. Bearing in mind Oliver’s Tory politics, its color might best be described as Redcoat-red. The terms “homespun” and “hand me down” take on a whole new dimension. The preponderance of garments are hand-made. This was a world in which handicraft wasn’t a selling point but a necessity. Until it wasn’t: The most economically significant objects in the show are easily overlooked. They’re two pairs of machine-knit silk stockings from the 1830s. 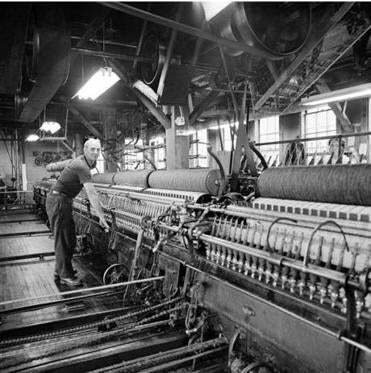 For many decades, textile mills were as important to the New England economy as colleges and biotech firms are now. That began to change as early as the first decades of the last century, as the mills began to relocate to the South — as, later in the century, they would relocate to Asia. That the handwriting had long been on the mill wall by the 1970s made those walls no less magnificent. Steve Dunwell’s “With These Hands: Mill Workers 1973-1977” is drawn from his excellent 1978 book, “The Run of the Mill.” At a time when globalization and the backlash against it loom so large these photographs have a renewed pertinence. They also offer a freshness they’ve never lost. It’s the freshness that comes of seeing real people in real places shown with respect and affection. The show consists of two-dozen black-and-white photographs, 11 inches by 11 inches or 14 inches by 14 inches. The squareness makes them seem all the more stalwart. There’s such strength of character in the faces we see. Each is as mighty as the machinery these men and women operate. Sometimes that machinery dwarfs them. Part of the beauty of Dunwell’s photographs is that it never overwhelms them. Color was starting to come to the fore in serious photography in the 1970s. Was Dunwell tempted to use it? If so, he was wise not to. Black and white abstracts as color does not; and one effect of that is conveying a timeless quality. Yes, these images belong to a specific historical and economic and technological moment. But they also could belong to the late 19th century or Roaring Twenties or even a tariffs-driven tomorrow. In fantasy, anyway. Dunwell gives the name of nearly every person whose face we can make out. Some of the workers look right at the camera, and those images are portraits in everything but name. Dunwell also gives the worker’s job title: chain builder, kettleman, mender, loom cleaner, loom fixer, mule spinner, braider fixer, chain builder, slasher tender, creel tender. The names are as wondrous as anything at Hogwarts and as straightforward as a wrench. The captions note the location of each mill, too. They’re a gapped New England gazetteer: Fall River, Lowell; from Rhode Island, Pawtucket, Woonsocket, Pascoig; from Maine, Lewiston and Harmony. Waltham is on the list, too, and that caption is the most sweetly memorable in the show: “Sewing, Puritan Dress Co., Waltham, MA (this building).” This building: Here you are, and here they were. Next time you reach into your closet, pause for a minute and think about the who and where and how of what’s on those hangers. This closet: Here you are, and here they are, too. At Charles River Museum of Industry & Innovation, 154 Moody St., Waltham, through Jan. 24. 781-893-5410. www.charlesrivermuseum.org.